POOL AND SPA NEWS magazine, published by Hanley Wood, LLC is the largest publication in the swimming pool and hot tub industry. 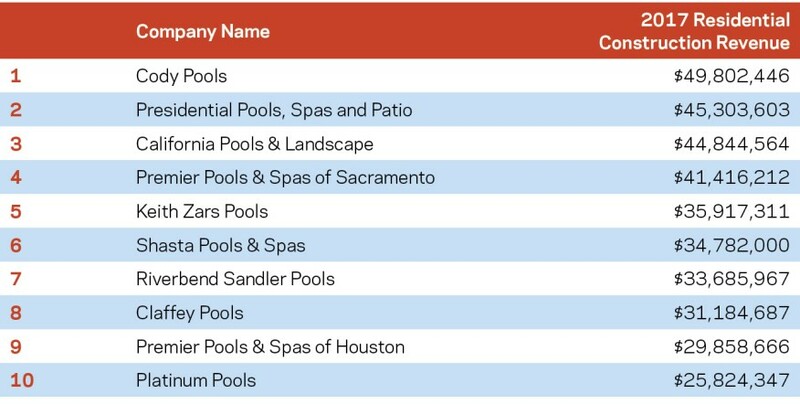 Each year, POOL AND SPA NEWS magazine names the Top 50 pool builders in residential construction. 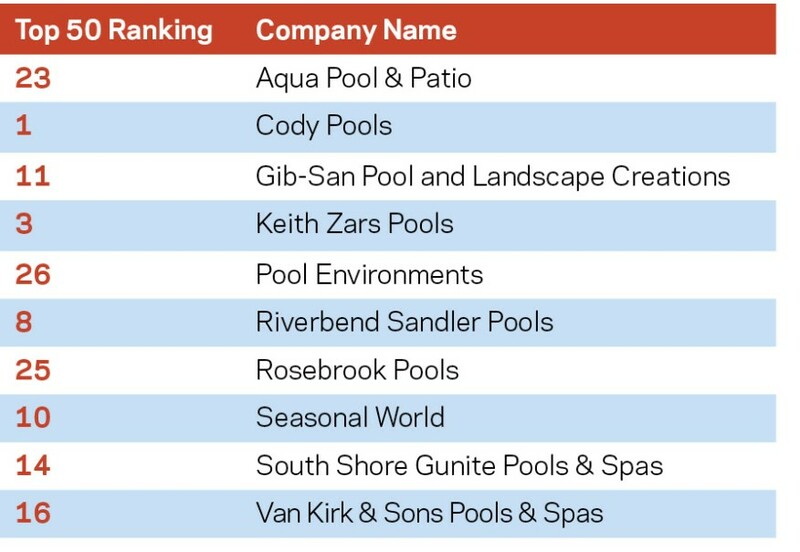 The Top 50 are a prestigious line up of the pool industry’s best performers and provide a good example of how to run a successful building company. The criteria used to measure top candidates are customer service, sales revenue, community involvement and social media. In assessing this category, judges look at the average tenure among a company’s staff, along with its level of training and education, as seen in its in-house training regimens, continuing education, degrees and certifications. Those below received the highest scores on this criterion. They are listed in alphabetical order, as multiple companies often received the same score. For this category, builders listed the business associations to which they belong, both inside and outside the industry. 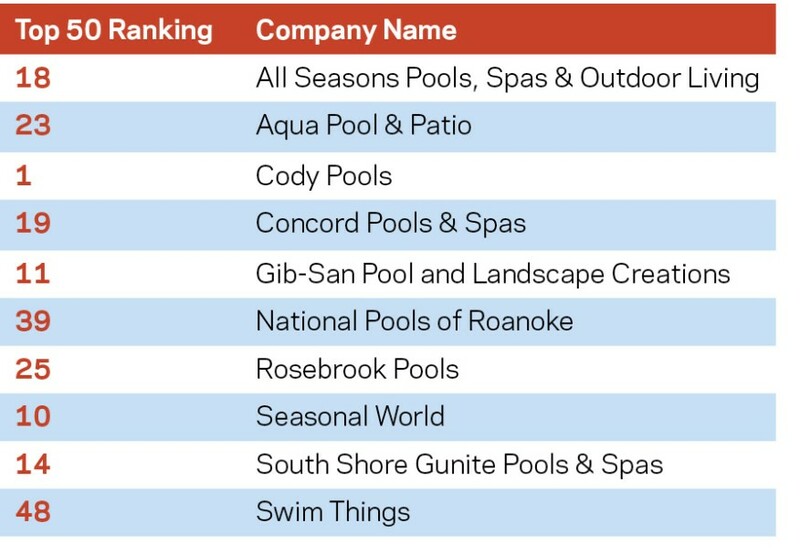 On the pool/spa-industry side, the Top 50 has always shown a strong presence in the main associations and buying groups. Outside the industry, the vast majority belong to their local Chambers of Commerce, Better Business Bureaus and home building organizations. Now, it appears more of these companies are joining related associations, such as the American Concrete Institute, American Shotcrete Association and various local and national landscape organizations.